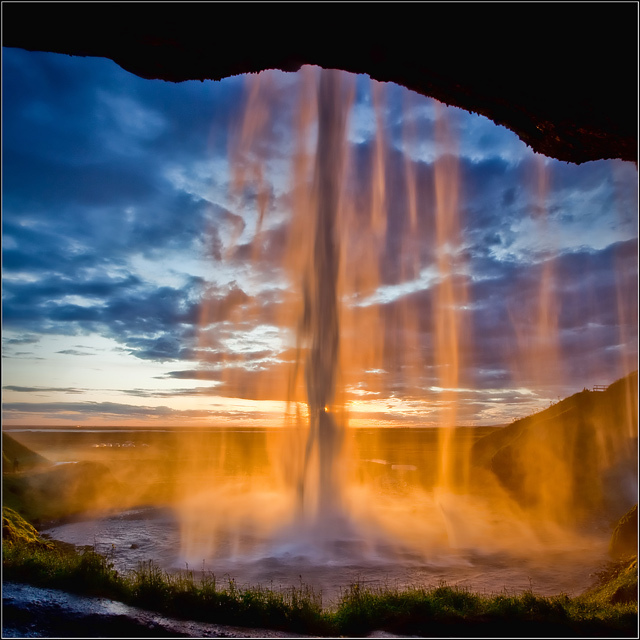 Taken on a trip to the famous Seljalandsfoss in Iceland. One of my favorites from that trip. Mainly processed in LR, finished in PS. Maybe just maybe a little crop on the left hand side, so that your eye is not searching for more water where this is none. I have to say that I disagree slightly with this. For me, the lack of waterfall on the left gives a sense of scale and place to this which would be missing if the picture was all waterfall. Beautiful capture. It would be a fav of mine too. I saw this and groaned out loud then beat my head on ym desk. How exactly am I meant to critique this? Are you trying to kill me??? This is the most amazing shot and something that is rarely seen on DPC if ever. What a lovely scene. The subject is unique to DPC and it's well captured and presented. Best of show! Unique capture of a sunset. I seldom like sunset photos simply because they all seem so similar, thanks for pulling my interest in this picture very sharp. Not voting... but I really think this will ribbon!! This is an awesome shot!! Congratulations! Looking forward for the detail on this photo! Extodinary! Proudly hosted by Sargasso Networks. Current Server Time: 04/26/2019 03:40:50 AM EDT.